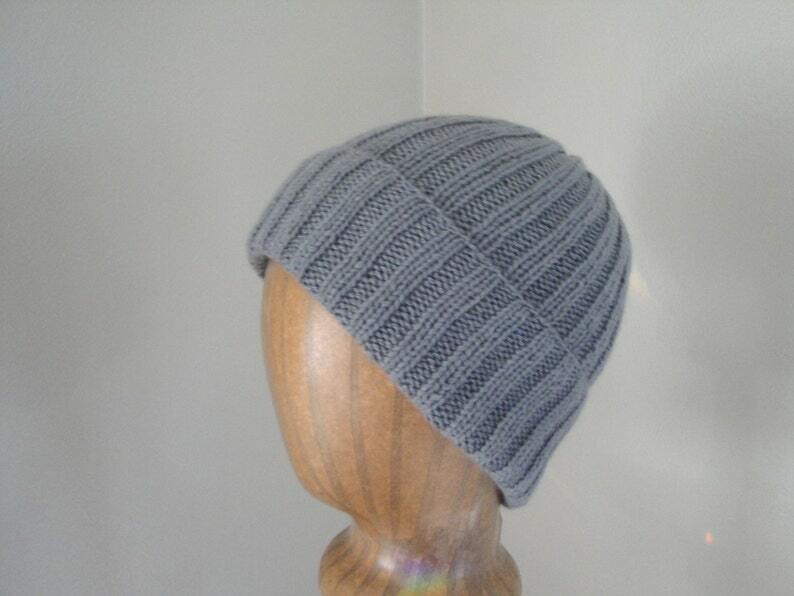 Luxury cashmere hat in medium gray, hand knit in 100% pure mongolian cashmere wool - the finest quality and super soft. Light weight with a thinner knit, will fit men and women. Lightly sits on the head, and is fairly stretchy. Can be worn with a wider/smaller roll, or without being rolled. Purely luxurious, and a great gift for anyone - and sometimes the best gifts are for yourself! Hat was lovingly and painstakingly hand knit, on tiny needles. Care: Hand wash, lay flat and reshape to dry. All orders come with a Girlpower care card.